minniepauz.com - Women, Midlife and Fun! You are here: Home // Fun // Women, Midlife and Fun! "I found your website last week and truly love it, I laughed so hard my family had to come and check on me to see if I was alright. 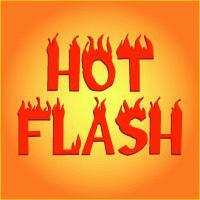 Women, Mid-Life & Menopause Fun! open for you, starting with the Minnie Pauz e-cards! The Marvelous Wonderettes is a cotton-candy colored, non-stop musical blast from the past; featuring favorite songs from the ‘50s and beyond, The Marvelous Wonderettes takes you to the 1958 Springfield High School prom where we meet the Wonderettes, four girls with hopes and dreams as big as their crinoline skirts and voices to match! 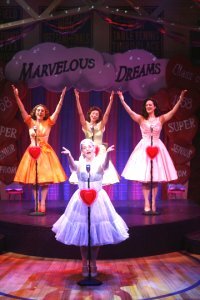 Visit http://www.marvelouswonderettes.com for more show information. Minnie Pauz FREE E-Cards are back!! in their email today! They'll appreciate it! selection at the Minnie Pauz Store! you live in Florida, check out the schedule to see their live performance! It seems that thousands and thousands of women are dressing up in purple clothing and red hats to parade around their town, literally "parade" in many cases, all in the name of having fun! Hey, at our age, we can do anything we want, right? I'm not sure if "Minnie" will join or not, but she's REALLY fond of hats, so we'll have to wait and see. woman's right to have fun at any age-- and to do it in style! Check out the Sisterhood of Purple created by Jody Houghton more than 20 years ago! Jody's newest book, "Girlfriend Wisdom" was released at the Biltmore Hotel in Phoenix, Arizona to over 1,200 wonderfully bodacious women all wearing purple and red! We hope you, too,will embrace the motto: "Live, Laugh, Love." 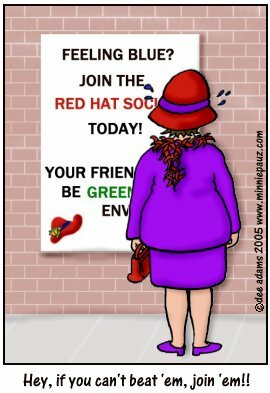 A "red hat" is more than an accessory to these women. It makes a statement about the attitude of women today. It symbolizes a woman's refusal to become old-minded, boring, and rigid.